Good news, everyone! Our anthologies of short stories are now available to buy through Amazon in both paperback and Kindle editions. Please see links below. Before I say anything else, I would like to thank everyone who came along to our recent book launch. It was a great night for all involved, and all the better for those who shared it with us. The anthologies are now available to buy in paperback and in ePub formats from Lulu, and will hopefully be on sale on Amazon soon. In the meantime, November has started so we’re officially into National Novel Writing Month. Instead of our standard monthly meeting, Belfast Writers’ Group are meeting together weekly, with the first ‘write in’ happening tomorrow – Thursday 2nd, 7.30 to 9.30pm at Cregagh Youth and Community Centre. I’ll post Facebook events for weeks 2 – 5 here in a few days. Happy writing, and good luck to everyone who’s attempting to draft a novel this month! Details of our double book launch this Halloween are now confirmed. So, it’s now my pleasure to invite you along to the Malone Lodge Hotel on Friday 27th October between 7 and 9.30pm to hear ghost stories and fill up on free tea and coffee. Details about the books being launched here. 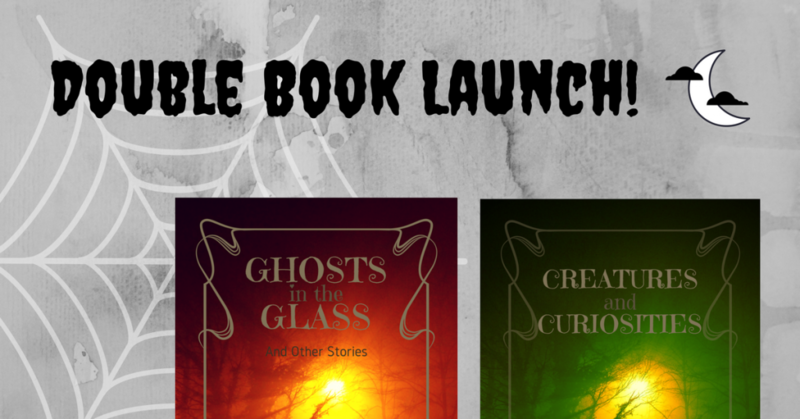 Double Book Launch at Halloween! 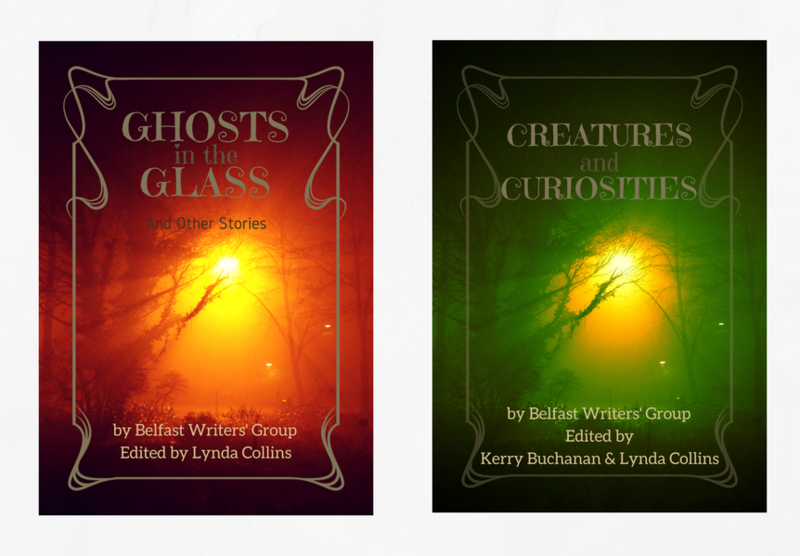 This Halloween, Belfast Writers’ Group are relaunching our first short story anthology in a second edition, and publishing our second anthology for the very first time! Details of the time and venue coming soon!